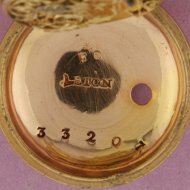 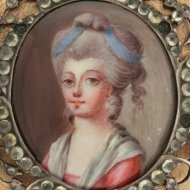 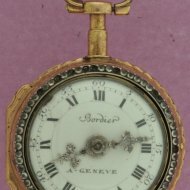 #k1004 Small swiss gilded verge watch with enamel portret of a lady. 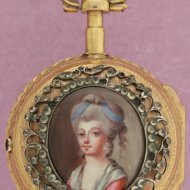 SOLD Gilded pair cased watch has a fine enamel lady-portret in silver ornament with 'rhine'-stones. 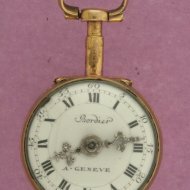 Gilded movement and enamel dialplate both signed 'Bordier a Geneve'. 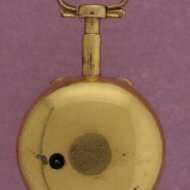 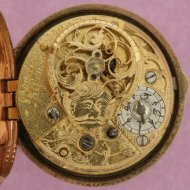 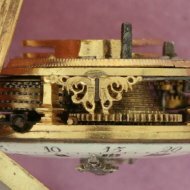 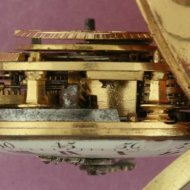 ca 1780, diameter 36 mm.